David was very helpful, courteous and friendly. Place is clean well kept. Great experience and easy access. Price is very reasonable as well. Great service and felt safe the whole time I was unloading. I would definitely refer this place to anyone. I recently rented a unit at the Stone Oak location. The manager was friendly and the process was very quick. There is a great covered loading dock right in front of the elevators. 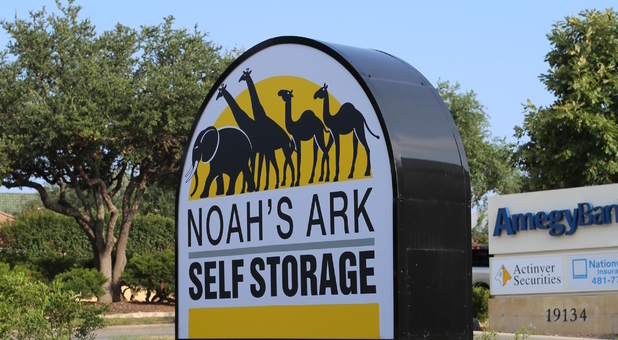 I recently used Noah's Ark at Stone Oak for temporary storage and I cannot say enough good things about this place! The staff is fantastic, very helpful and really went above and beyond to make sure I was taken care of. Great experience and will be recommending to anyone I know who needs a storage place! Stored from time to time, best place thuus far. The Manager always very helpful and eager to help in anyway he can. Had issues with what type of space I would need and the manager (Danny) was very helpful with explaining each option. Wow, I didn't know storage could be classy ! Very clean facility. Friendly manager was helpful in the selection of the right sized storage unit for me. Climate controlled unit makes me feel like my stuff will be in good shape when it's finally time to move in to our new home.